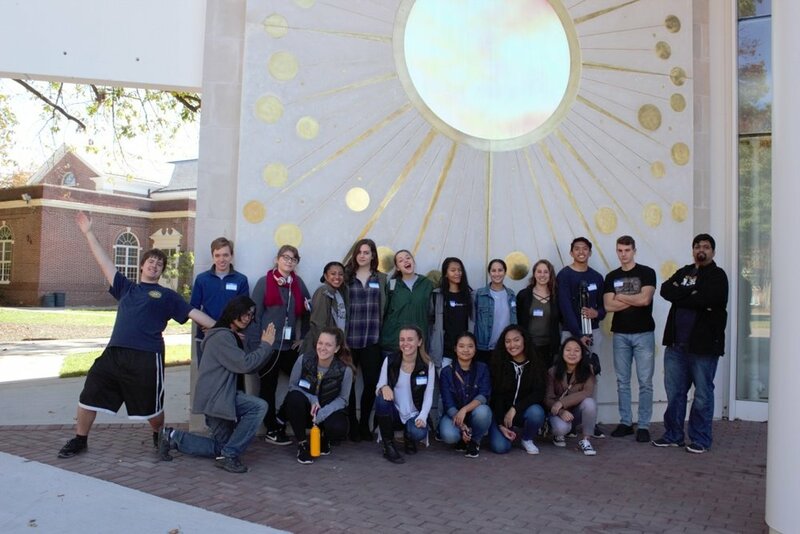 October 28 – With Fall semester in full swing, we were anticipating our partnership with The College of New Jersey's (TCNJ) Center for Community Engaged Learning and Research. 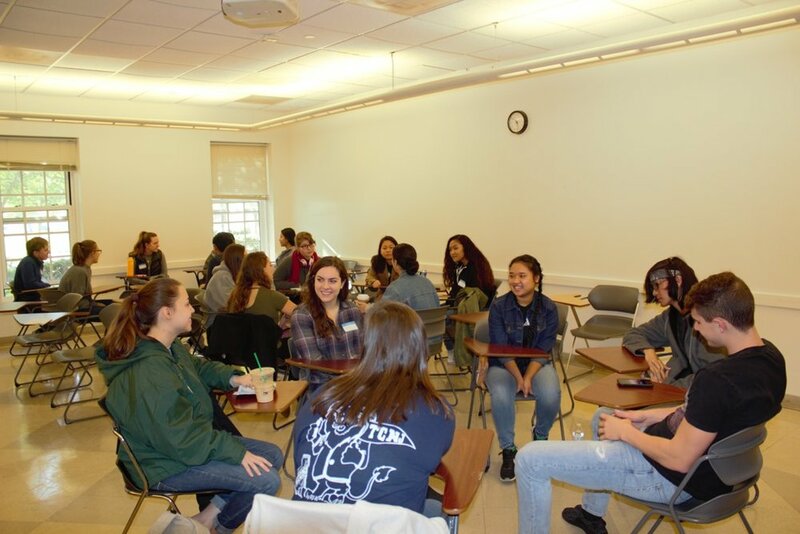 As a part of the College's requirements, every freshman seminar class must incorporate a community engaged learning component, where the students implement what they are learning into the community. 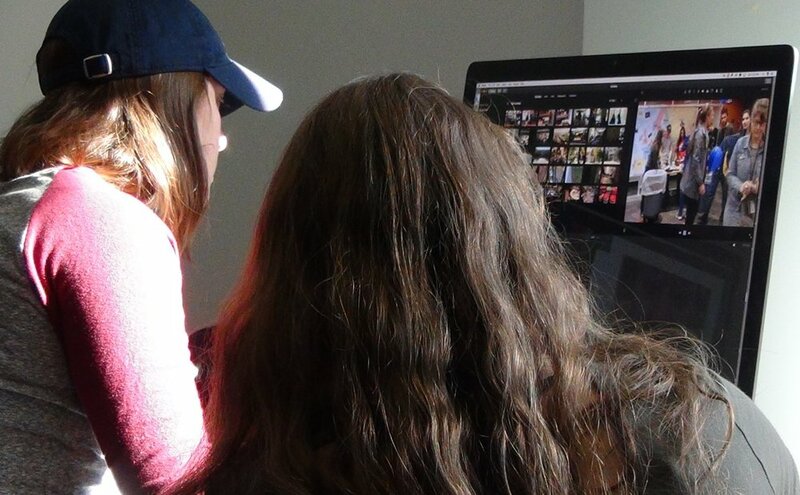 This year the freshman seminar class, “The Persuasive Power of Recent Television Narrative”, worked with our older students on creating a Public Service Announcement (PSA) collaborating on three distinct teams: scripting, filming, and editing. The PSA will shed light on exorbitant food waste in the country, particularly on college campuses, and suggestions on what can be done to address the issue. The day will culminated with a campus tour guided by TCNJ student ambassadors and forged new friendships that students will likely cherish for a long time to come. A great way to wind down an awesome summer! August 6 -- Our students, families, and friends had a great time taking in a Trenton Thunder baseball game to close out an awesome summer! Special thanks to Vince Marcucci, Director of Community Affairs, for working together again to make it all happen. Students were thrilled to see themselves on the jumbotron during the awesome pre-game slideshow of the Beyond Expectations Young Entrepreneurs Academy and for the chance to be recognized individually on the field in front of the whole crowd! 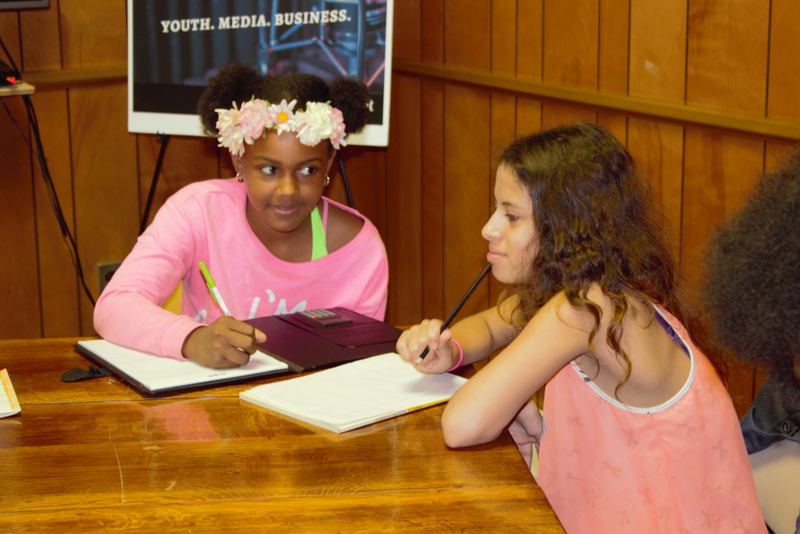 Young Entrepreneurs Summer Media Academy is underway! 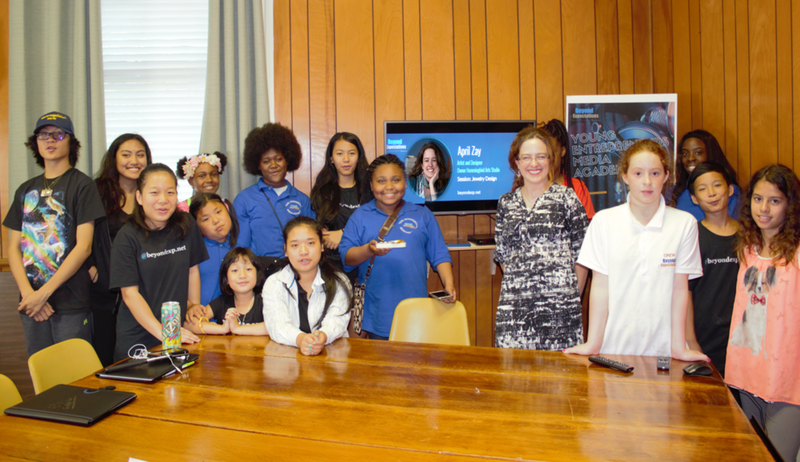 All sessions throughout the week long programs are photographed, videotaped, and/or produced with our students under the direction of Leontyne Anglin, Young Entrepreneurs Media Academy Director. What an awesome kickoff with First Baptist Church of Trenton for our Young Entrepreneurs Media Academy where we greeted phenomenal incoming students and introduced our team of awesome faciliators -- starting with a special video welcome message from our former student, Chental Song Bembry, completing an internship at ABC2News. Initial session on Culinary & Hospitality Business was facilitated by Executive Chef Bert Dumas owner of Studio B Bakery & Bistro focused on "Life's Recipes Success Formula". 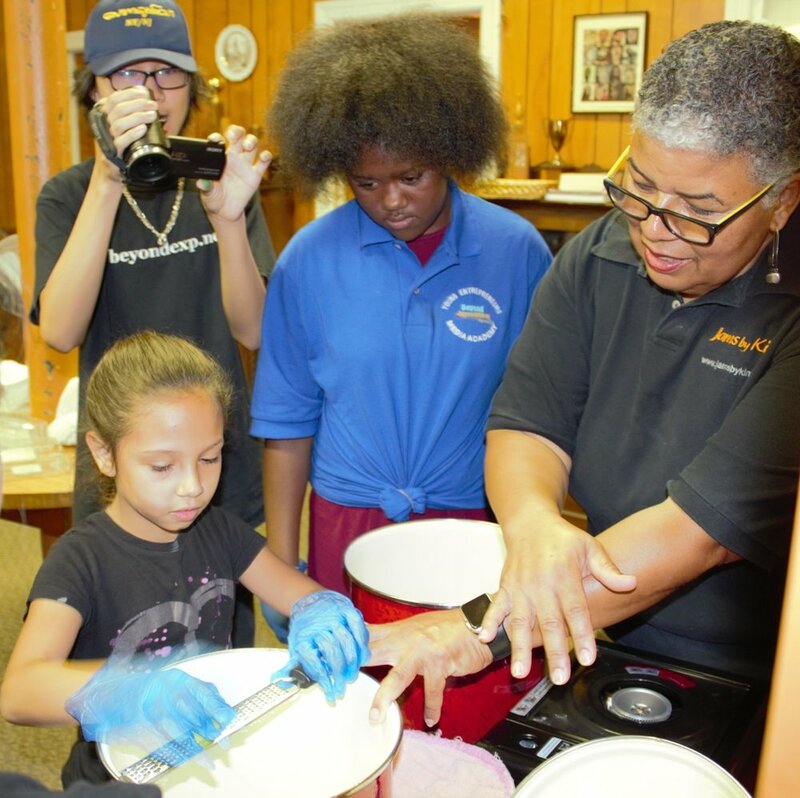 Students received an introduction to the Food Business, then created their own creole salsa & guacamole and baked up their own batches of double chocolate cookies. Students were fascinated to learn about the wide array of opportunities within the Sports Business with our great partner facilitators led by Vince Marcucci and Chris Foster at the Trenton Thunder Minor League Baseball Team. The session wrapped with a special guest visit from music legend and food business mogul John Ellison who provided an overview on landing your brand in national retail stores and instructed students to prepare one of his original recipes from his world famous "Some Kind of Wonderful" signature food line. Day 2 started with 7 Habits of Highly Effective Teens with Naomi Mitchell of The Tapestry. 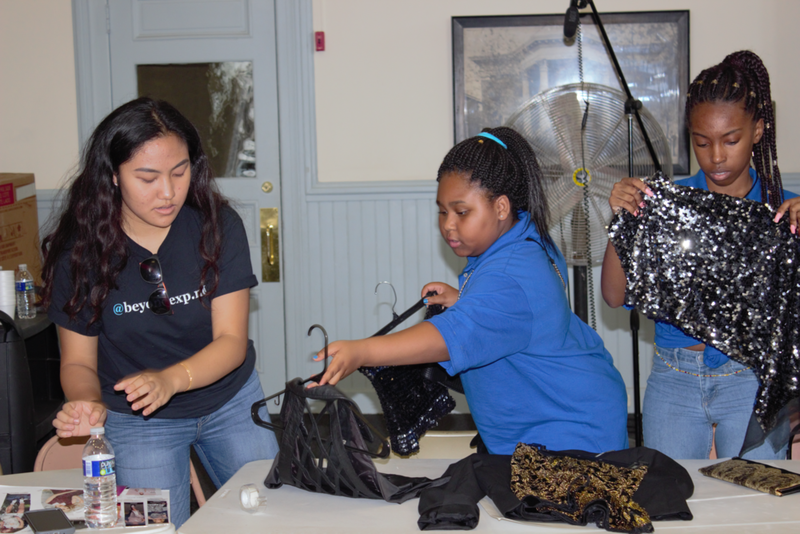 It was followed by an intensive hands-on session on the Fashion Stylist business with designer Haneefah Mitchell and Virtue Mitchell of Ready by Design. Fashion Stylists develop the image of models and celebrities, for print, television and movies. 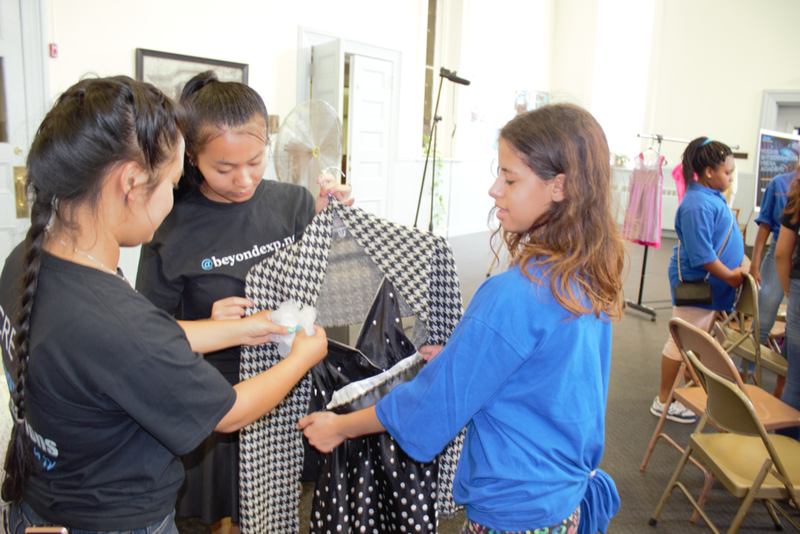 Students were tasked with creating their own styling businesses for their respective clients and participating in different roles on a styling team: Agent, Model and Creative Writer. Each team selected a spokesperson who provided an overview of their individual client collections that they displayed to the entire group. The students were delighted to learn that they were learning from the best! Haneefah, a graduate of the prestigious Moore College of Art & Design, currently has her own fashion line, has displayed her own collection at New York Fashion Week, and was a member of the design team for Sasha Obama's dress at the 2008 presidential election! 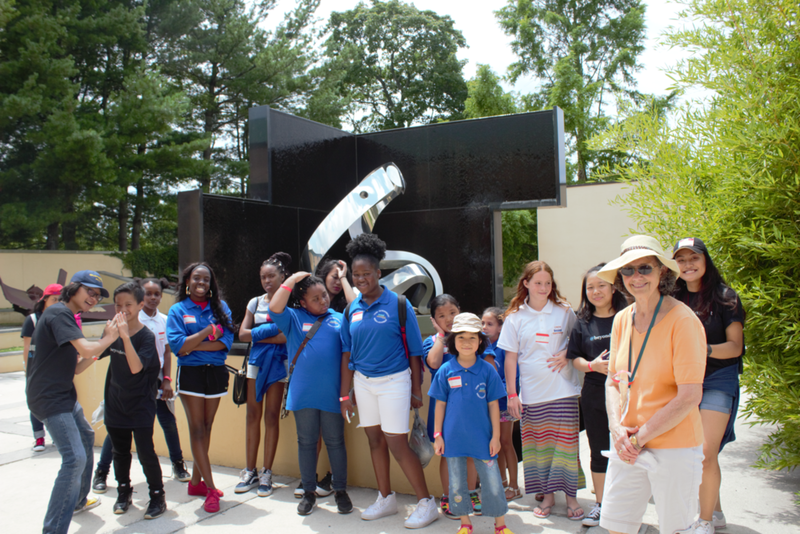 Day 3 included a wonderful trip and custom Docent Tour at the beautiful Grounds for Sculpture in Hamilton, New Jersey. 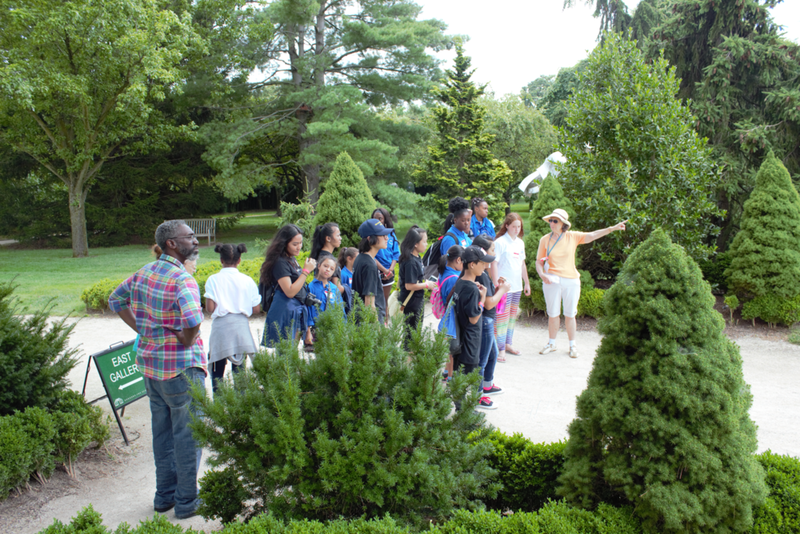 Our great Tour Guide Barbara Essig walked students through the history of its founder, artists, as well as the business aspects of operating, marketing and promoting the 42 acres of landscaped grounds to the public which attracts thousands of visitors a year. 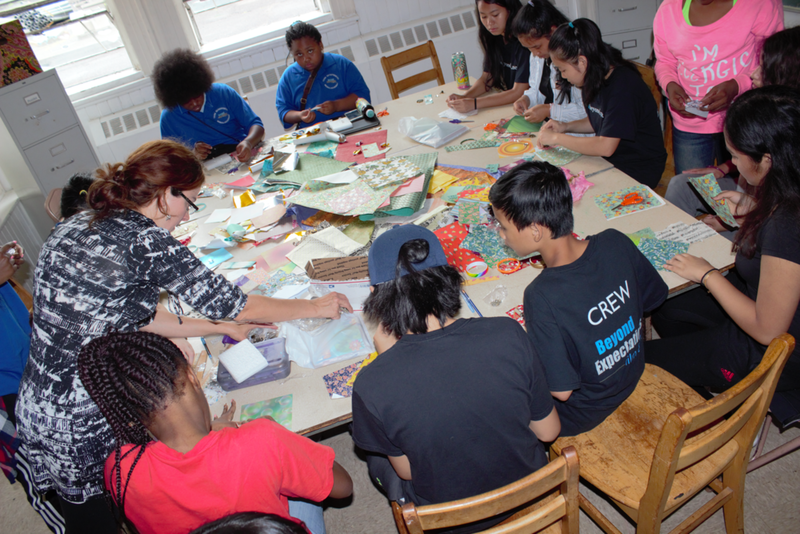 Special thanks to Nancy Schomburg, Manager of Volunteer Services, for organizing such a wonderful day! 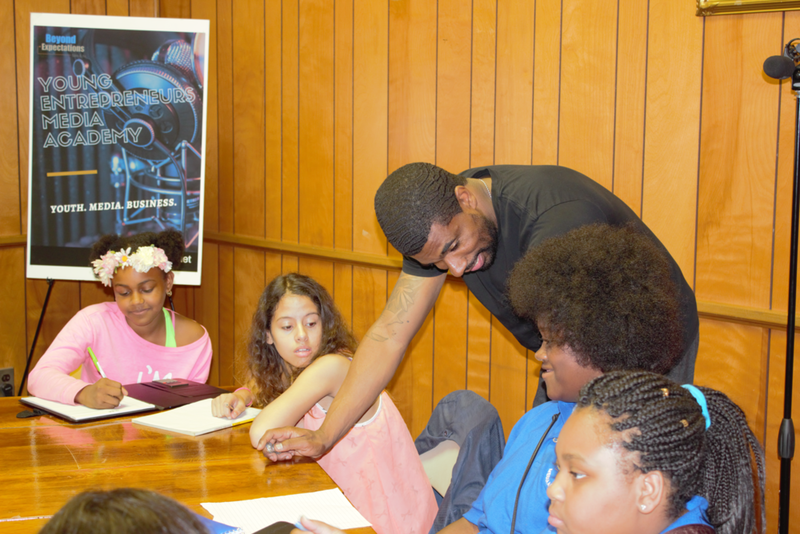 Day 4 -- Teaching young people about the principles of business is one thing. 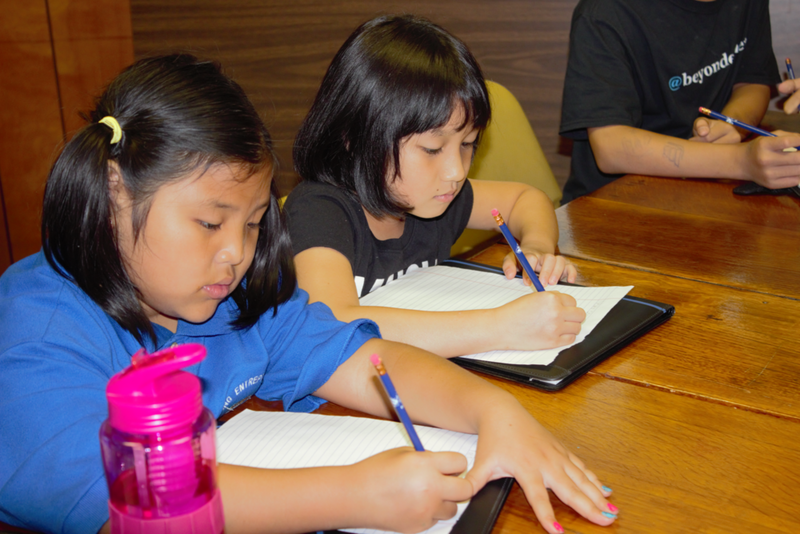 Helping them think about creating their own family traditions opens their minds even more. 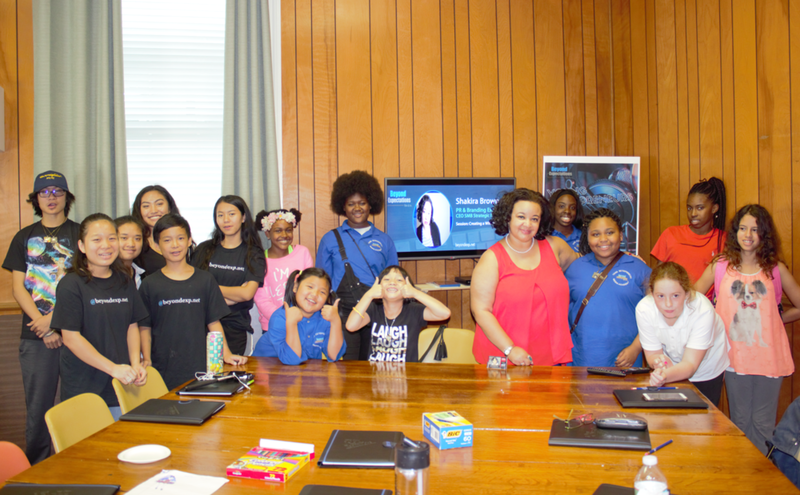 That's exactly what happened when Kim Osterhoudt, Founder & CEO of Jams by Kim and semifinalist on Centric TV's Queen Boss, led her "Jam Session" at the Young Entrepreneurs Media Academy. As the president of the Central Jersey Chapter of the National Association of Women Business Owners, she shared more indepth business knowledge of SafeServ regulations, profitable pricing, and the process of marketing products at Farmers Markets across the state as well as exclusive Christmas Shoppes for the holidays. Day 5 -- The day started with award-winning children's book author Anthony Tucker who made time in his schedule to travel from Harlem to lend his expertise. He used a unique approach of a TED Talk format creating a 2-4 minute written presentation to help students begin to develop their own personal stories which they shared in front of the group. He tied the exercise to the underlying theme of his book, "A Rocky Start", which demonstrates the importance of finishing what you start. The session wrapped with a brief discussion on illustrating decisions, publishing options, and the recent news that his book has been added to the prestigious Schomburg Collection in New York City. Creating handcrafted jewelry is becoming somewhat of a lost art. 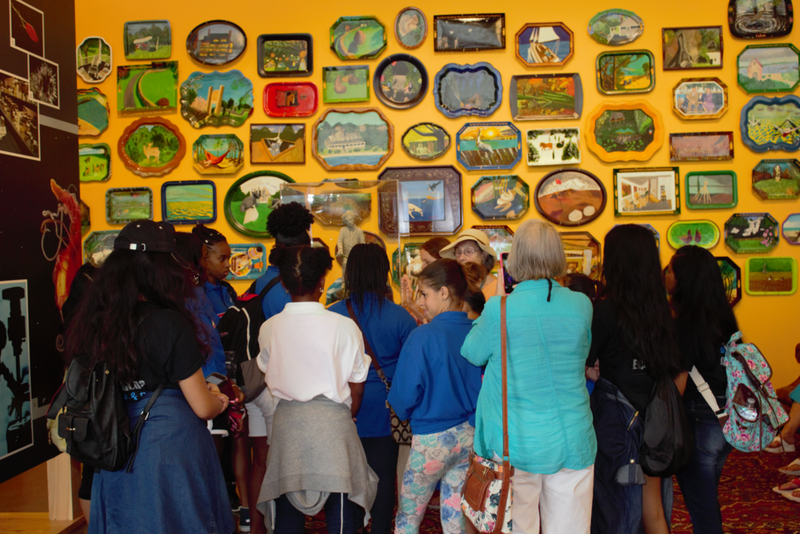 Thankfully artist April Zay, owner of Hummingbird Arts Studio, helped students experience the joy of bringing their innate creativity to life. She provided an overview of the Arts & Design business offering suggestions for leveraging online sites like Etsy as an initial venue to get their products to market. 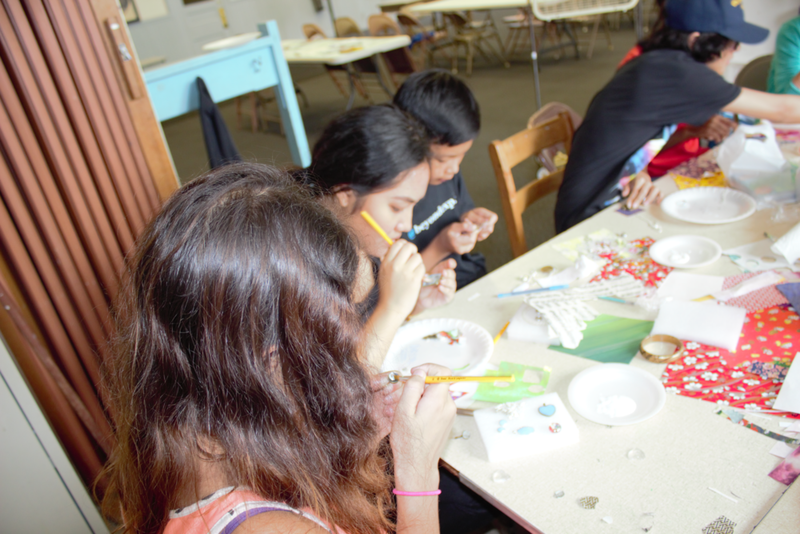 During the immersive hands-on session that followed, students had an opportunity to create their own jewelry including pendants, earrings, and bracelets. PR & Branding Expert Shakira Brown closed out the day with a discussion on Branding. Day 6 -- Entrepreneurs spend long hours running their businesses, attending meetings, negotiating, and closing deals. They often, however, neglect to pencil themselves into their own schedules to rejuvenate. Yoga instructor Donna Hutchinson helped kick off the final day of the Young Entrepreneurs Media Academy with simple stretches and techniques to keep their bodies and minds energized. 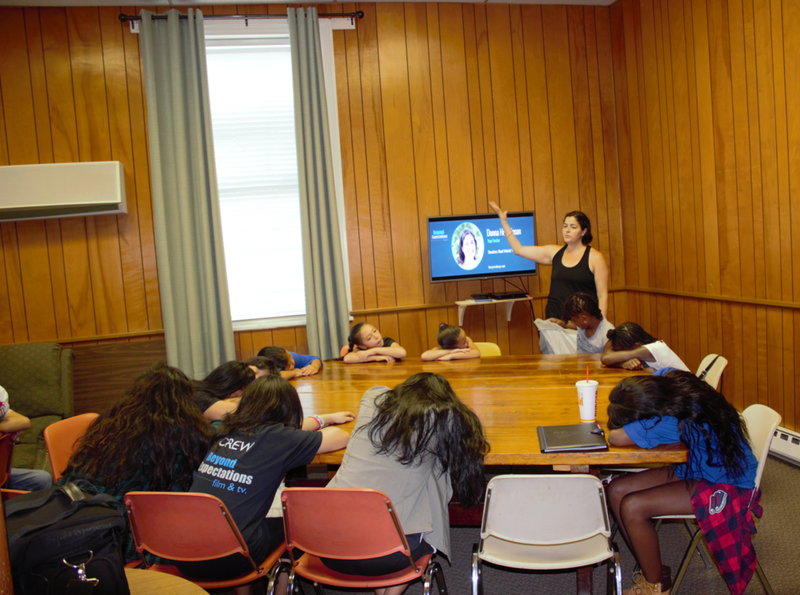 She also took time to show the students how to get still and quiet, particularly useful with the stressful situations they may face in their every day lives at school or at home. She left students with a final message that they can use yoga to help stay positive but they can also use it to just have fun. Professional networking is a piece of cake for some and a daunting task for others. Either way, it's an essential skill that entrepreneurs ultimately need to master to grow their businesses. Under his enthusiastic direction on the final day of our Young Entrepreneurs Media Academy, students were tasked to write a personal introduction that could be used in professional settings then walked them through a 'live' business card exchange to put their intros into practice. The ability to communicate effectively was a theme that was reiterated throughout our Young Entrepreneurs Media Academy. 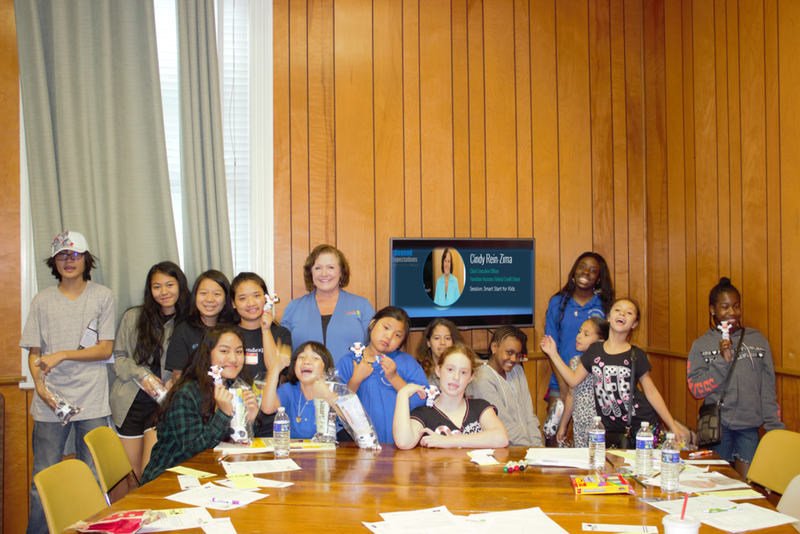 During the final session on day 6 Erica Blocker, Podcaster, Host of Moms with Dreams Show, and frequent speaker at podcast events across the country, gave students a firsthand look at the power of using their voices. Students received instruction on the latest technology, tools, and equipment to run a successful podcast. They were then given a step-by-step written exercise on what it takes to launch and get the podcast off the ground to ultimately reach audiences in the US and internationally. The very last session of the jam-packed day 6 of the Young Entrepreneurs Media Academy was all about the money. Saving, planning, and making solid financial decisions. Students had an opportunity to listen to and discuss a virtual podcast session from Former NFL player Marques Ogden, CEO Ogden Speaking Academy, who shared advice and financial lessons learned from growing his successful business following his days playing professional football. 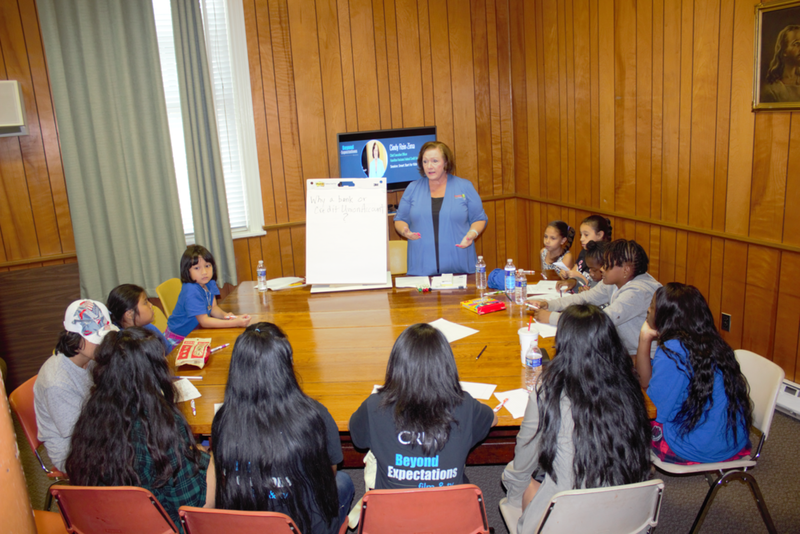 Cindy Rein-Zima, CEO of Hamilton Horizons Federal Credit Union, closed out the facilitator presentations with an indepth "Smart Start for Kids" session that included the process of opening accounts, calculating bank balances, pros and cons of loans, and understanding credit scores. 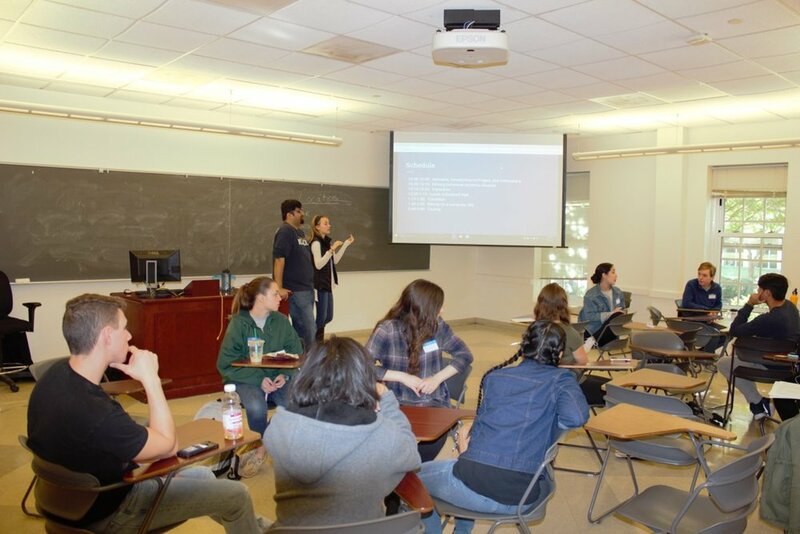 The workshop wrapped with hands-on instruction with every student on how to correctly complete bank deposit/withdrawal slips and avoiding the pitfalls of incurring college debt through the use of secured credit cards. Students were totally excited for a surprise appearance by Moola the Cash Cow during the closing certificate presentations. Special thanks to the entire team at Hamilton Horizons Credit Union and members of BNI Driven for their Beyond Expectations giveaway drive collecting items throughout the month that were stuffed in backpacks provided by the New Jersey Credit Union League and given to each student for successfully completing the week-long Academy. Your ongoing partnership and support is sincerely appreciated! June 10 -- Summer is here! 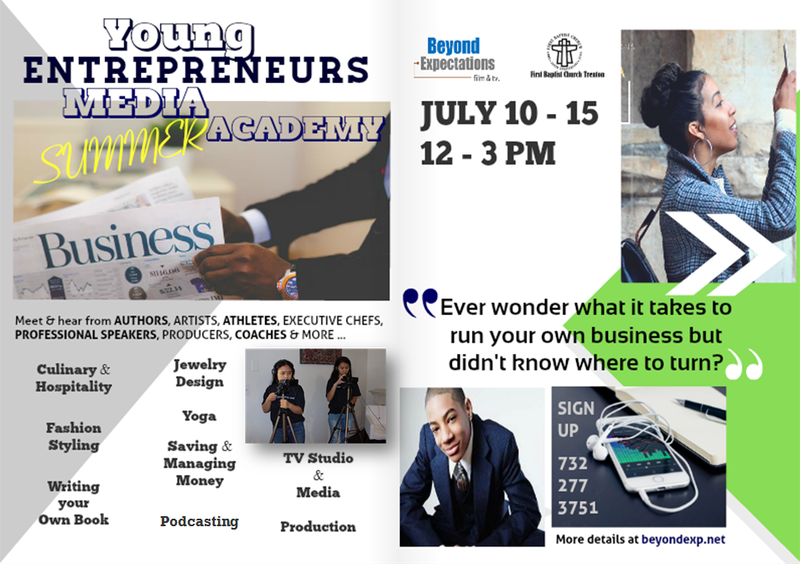 So, we're gearing up for our Young Entrepreneurs Media Academy. 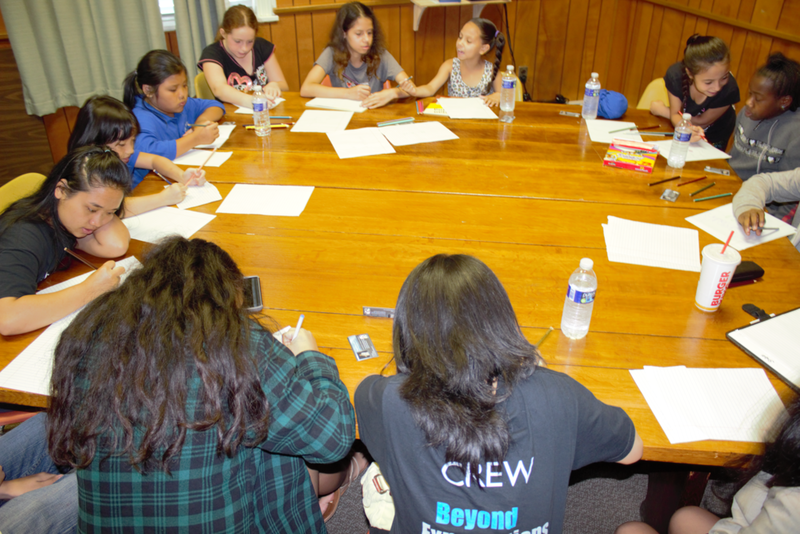 A full week of immersive programs and activities to introduce youth to getting their creative business ideas off the ground and using media to help bring them to life. Our awesome lineup of Faciltators represent a wide spectrum of entpreneurial pursuits from Artists, Authors, and Athletes to Producers, Podcasters, and Executive Chefs. Workshops will include live and virtual trainings with opportunities for participants to forge strong, supportive, and substantive professional relationships. It's a start to begin demonstrating the value of building networks as they begin to transition into adulthood. 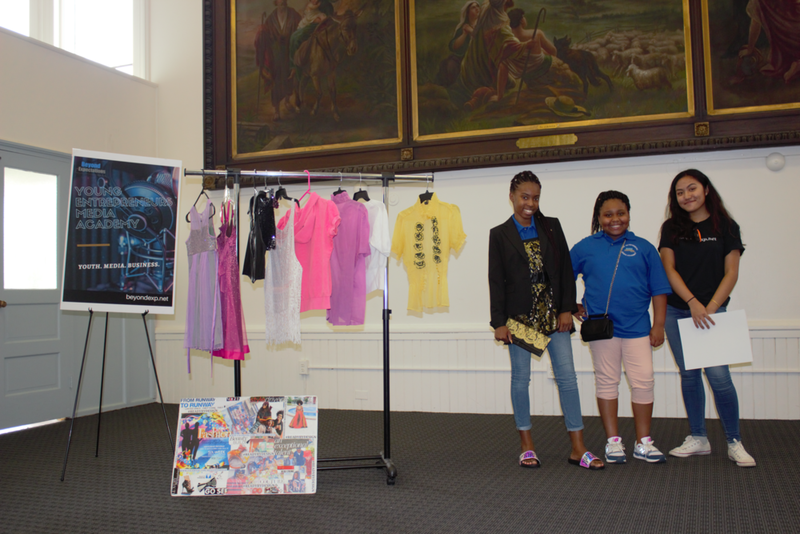 For sponsorship and partnership opportunities, please contact Ms. Anglin at leontyne@beyondexp.net.